The DP2DVID2 DisplayPort® to DVI (Dual-Link) Adapter actively converts the output signal from a DisplayPort video source for use with a DVI-D display (monitor, etc.) or projector, helping to eliminate the equipment costs of upgrading a DVI display to a newer model for the sake of compatibility. 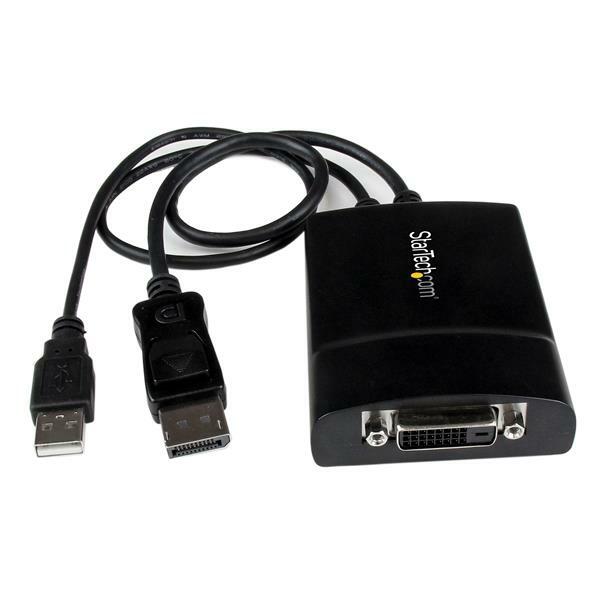 The adapter supports high resolution video (up to 2560x1600 at 60Hz), maintaining the outstanding graphical performance from a DisplayPort-equipped desktop video card, laptop or MacBook®. 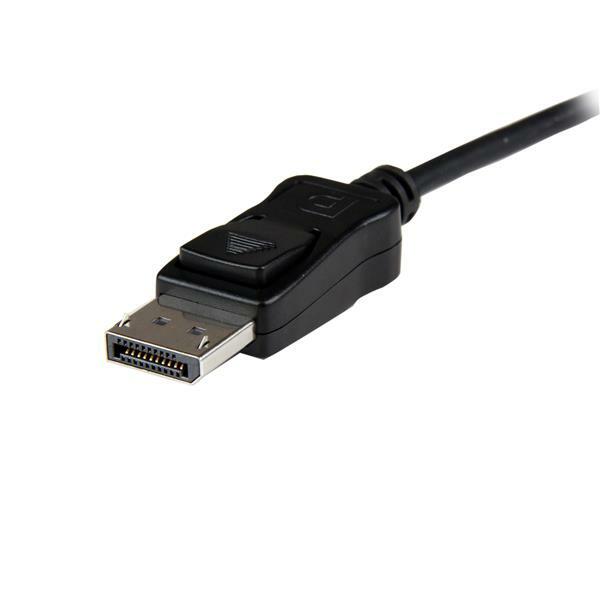 DP2DVID2 performs an active DisplayPort-DVI conversion that is suitable for video sources that output either multimode (DP++) or single-mode DisplayPort signals. 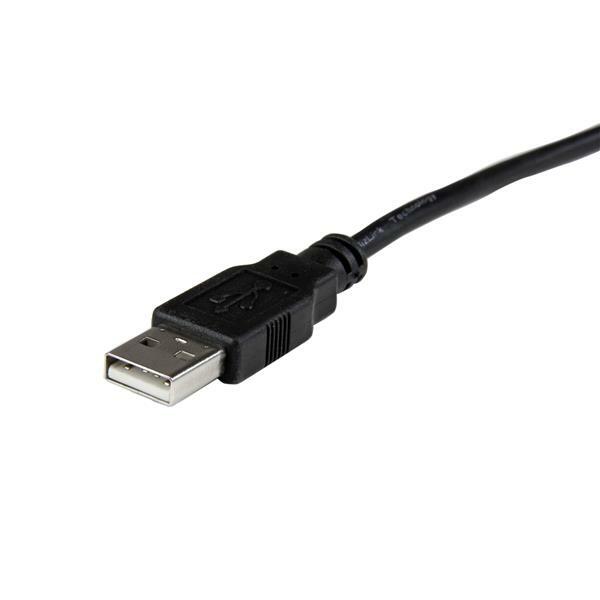 This ensures the adapter can be used even with graphics cards that aren't capable of outputting multimode DP++ signals, such as ATI® Eyefinity cards. 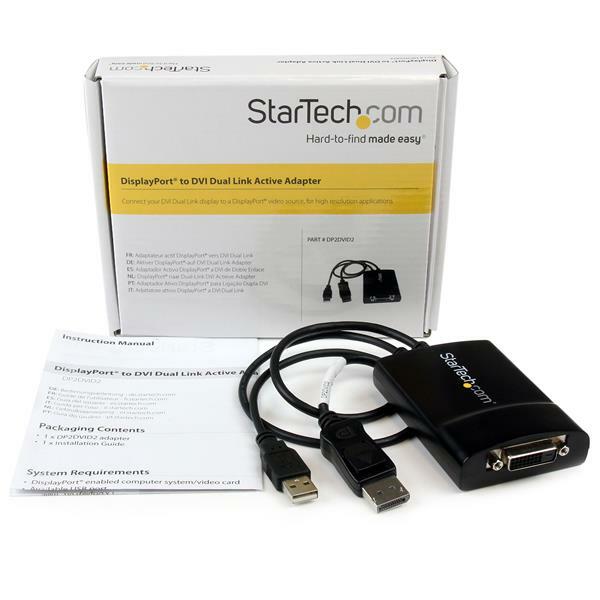 Back by StarTech.com 3-year warranty, with free lifetime technical support.